March 5, 2014 /0 Comments/in Foot Health & Hygiene /by Jenn F.
It’s easy to take our feet for granted, since they tend to be “out of sight, out of mind” body parts. However, caring for the feet is essential to our quality of life. We cannot remain active and self-sufficient if we are unable to walk, work, engage in hobbies, or get around. Injured feet can lead to improper gait, which can — in turn — lead to falls or pain elsewhere in the body. The Institute for Preventive Foot Health recommends three methods of employing good foot hygiene to remain healthy and active for years to come. Maintaining healthy feet will keep you active for years to come. February 26, 2014 /0 Comments/in Foot Health & Hygiene /by Jenn F.
Aging doesn’t just cause wrinkles in your brow, brittle fingernails, or aches in your back. Did you know that 80% of people over age 60 have some sort of problem with their feet? 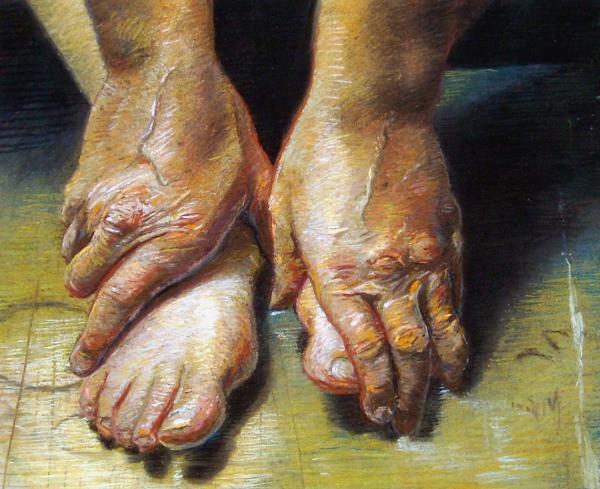 Most parts of the body shrink as we age, but the feet are one exception. In fact, a person can gain half a shoe size every decade after age 40, says Dr. Steven Pribut, a podiatrist at George Washington University Medical Center in Washington, D.C.
Will your feet age gracefully?